HAS DEPOSIT! Prince William Gorgeous Black with White Male CKC Shorkie Such A Sweetie! Meet Prince Williams! He is the star of his own show. He loves attention and will do anything to have his head scratched. Like his parents, Prince Williams has a love for everyone he comes into contact with. He loves playing with his siblings but his favorite time is snuggle time with humans. He will come to you with a a lifetime of puppy love, snuggles and ready to give you all the kisses you could ever want. Waiting on my new name and new home is Hilliard, FL. To get cash price using Paypal send as family friends but you must take out of your checking account or they charge you a fee. payments use email TLCPUPPYLOVE@GMAIL.COM then send me a text or email letting me know you paid paypal say I want Male Shorkie puppy Prince Williams. « HAS DEPOSIT! 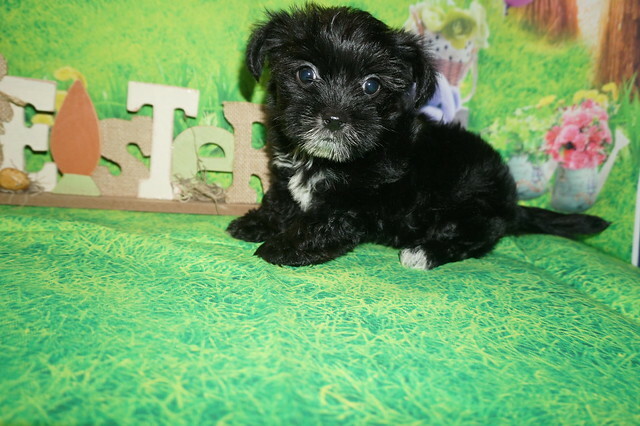 Prince Charles Gorgeous Black with White Male CKC Shorkie Such A Sweetie!